More than just a "daydream" after all! It's Google's turn to enter the VR realm, as Google announced the Daydream platform for mobile VR that's coming this fall. You read that right: It's coming this fall, and you'll be able to get a high-quality VR experience on mobile. Sounds like a plan, right? That was one of the announcements out of Google I/O 2016, along with Allo, Duo, and Google Home. 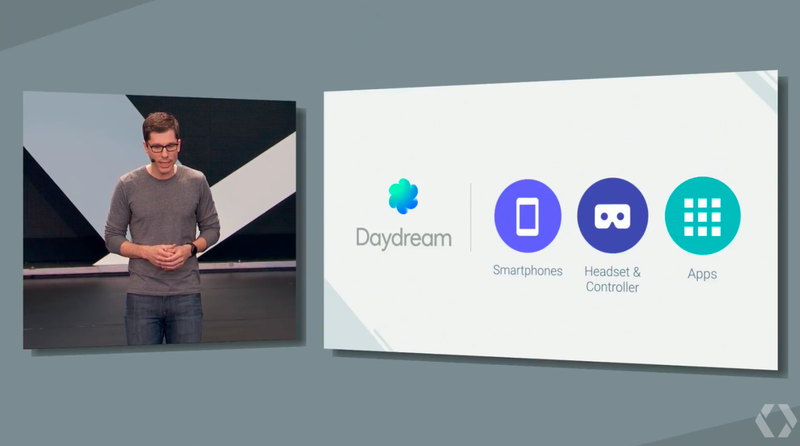 The Daydream platform will require phones from Samsung, Alcatel, HTC and other Android devices to provide the "best" virtual reality experience. There are various optimizational augments as well, such as a VR UI system to allow for notifications, the ability for users to view YouTube videos and other apps while in VR, and other abilities that should transform the "traditional" VR experience. There's also a reference design for a VR headset for Daydream, which will integrate a new controller with new hardware meant for interactions in games and various apps. A special orientation sensor is in the works as well, which will allow players to perform more precise motions as well as control the VR interface. Considering so many of the other VR options out there are facing price as one of their greatest hurdles, Google's Daydream platform will have to be competitively priced if it wants to change up the game. Unfortunately, there aren't any details on that just yet. Daydream itself is slated for release this fall, but developers who want to get in on creating for the platform can go ahead and get started as of today. It'll be included in the Android N Developer Preview, which is available in beta mode today.